On Sunday (10/28), explore Día de los Muertos, at MOLAA’s Annual Festival! Learn more about Día de los Muertos and Latin American culture through art workshops, live performances, gallery tours, food, face painting, and craft vendors. It’s also Target Free Sunday at the Molaa so admission is free! Have you always wanted to see what it’s like in jail without actually getting arrested? How about a haunted one at that? Here’s your chance–the Lakewood Sheriff’s Station becomes ‘The Haunted Jail’ on Friday, October 26, from 4:00 p.m. until 10:00 p.m. Along with a scary jail for visitors 12 and older, there is also a less scary version for younger children. There will also be public displays from various Sheriff’s Department units. Lakewood Station is located at 5130 Clark Avenue. The best place to park is on the south end of Civic Center Drive on or near the vacant lot and Angelo M. Iacoboni Library. More parking becomes available after library and city hall business hours. The Great Cookie Thief: If you have a little fan of Sesame Street, then get this e-book now while it’s free! It normally retails for $2.99 and is compatible with both the iPhone and the iPad. The app also lets kids create their own “Wanted” poster, which is the part my toddler loves. Weird but true! : App offering lots of fun trivia facts is free right now. It normally retails for $1.99 and is compatible with both the iPhone and the iPad. Today is also the last day of Toca Boca’s $0.99 sale. If there’s an app you really want, now is the time to pick it up. They offer really fun engaging apps for kids. Several apps, which normally retail for $4.99 are available for FREE right now. All of the apps listed below are interactive storybooks except the bubble pop game. They also include coloring pages, puzzles and a matching game. They are all compatible with the iPad, iPod and iPhone. Howdy! Choo Choo! No! Abracadabra! Just having a little fun writing my blog. All of the events happening around town this weekend can be summed up with these one word descriptions…okay “choo choo” is technically two words but close enough. Depot Day at Travel Town: Annual celebration and Open house on Sunday, October 21 from 10 am to 4 pm. Take your train enthusiast and celebrate Travel Town with a day of special exhibits and activities for the whole family! Admission is FREE! Free train rides at Goat Hill Junction: Saturday and Sunday from 10 am to 3:30 pm. Did I mention it’s FREE? David Shannon reading & book signing: Author David Shannon, known most notably for his No, David! books will be reading and signing copies of his new book, Jangles, A Fish Story on October 21st from 1-5 pm at the Sarah Bain Gallery in Brea. Even if you don’t get a chance to go to this event, be sure to check out the No, David! books. My kids love them but maybe it’s because I can easily substitute David’s name with my son’s. Your kids are probably better behaved. Magic Show: Magician Allen Oshiro presents a fun magic show for the whole family on Saturday, October 20 from 2-3 pm at the Artesia Library! Also FREE! If you follow my blog, then you know my family and I are big fans of all the great apps by Toca Boca. Right now their Hair Salon app is free–normally, it costs $1.99. This is a simple app where your child can cut, color, comb, shave and blow-dry lifelike hair on six different cute characters. We have this app and I can vouch that it appeals to kids of all ages from toddlers to 10 year olds! Get it while it’s FREE! This app is compatible with iPhone, iPod touch, and iPad. Requires iOS 4.3 or later. Go fly a kite or better yet, go watch some pros fly some really cool kites. 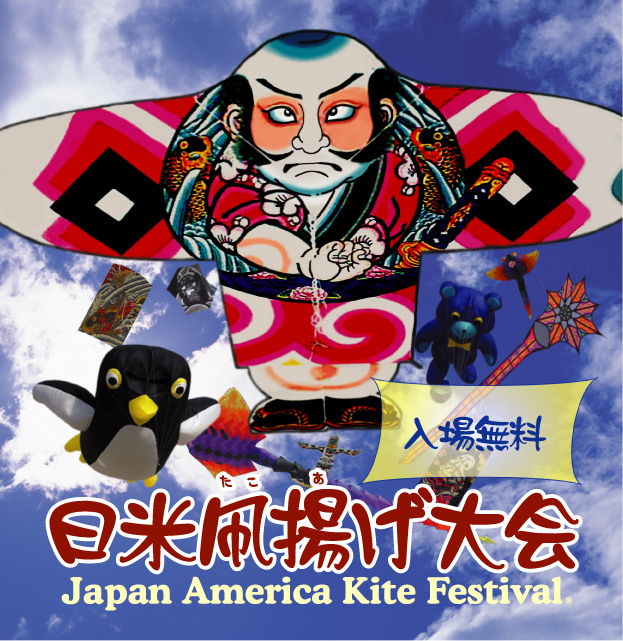 Tomorrow, Sunday, October 14, the Japan America Society hosts it’s annual Kite Festival at the Seal Beach pier from 11 am to 4 pm. Admission is FREE! There will be kite workshops, crafts and games for kids as well as Kite Candy Drops for kids, Kite Battles and Stunt Kite demonstrations. For parking information, click here. Free screening of The Avengers at the Cerritos Library tonight at 6:00 p.m. in the Skyline Room. Enjoy! Old McDonald for the iPhone and iPod touch is also free today. Old MacDonald HD – by Duck Duck Moose for iPad on the iTunes App Store. Do not miss out of this fabulous award-winning book app (for iPad and iPhone) geared for toddler from one of my all-time favorite app developers, Duck Duck Moose. This is a highly interactive app with 3 dozen activities designed around this age-old favorite Old MacDonald. The app can be listened to in multiple languages and various musical instruments as well. You can even record your child’s voice. This app is normally $1.99 but is currently available for free download. Duck Duck Moose apps are rarely ever discounted or free. Duck Duck Moose makes several apps that we really love: Fish School (ABCs, numbers, colors), Park Math (early math) and Word Wagon (early phonics and spelling) which are all well worth the $1.99 paid app price. I highly recommend any of these apps. The ABC Unified School district hosts monthly workshops addressing issues affecting our kids. Tonight’s workshop will inform parents about bullying and how to help their children empower themselves. It will be held at the ABC Adult School Cuesta Campus from 6:30 p.m. to 8:30 p.m. The workshop is free for all parents in the district, including adult school parent education students. No pre-registration is required. Also, I’ve been told that free refreshments are provided.